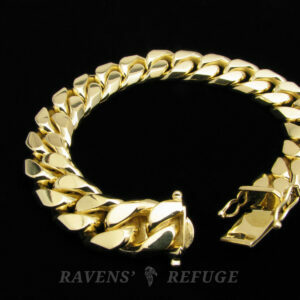 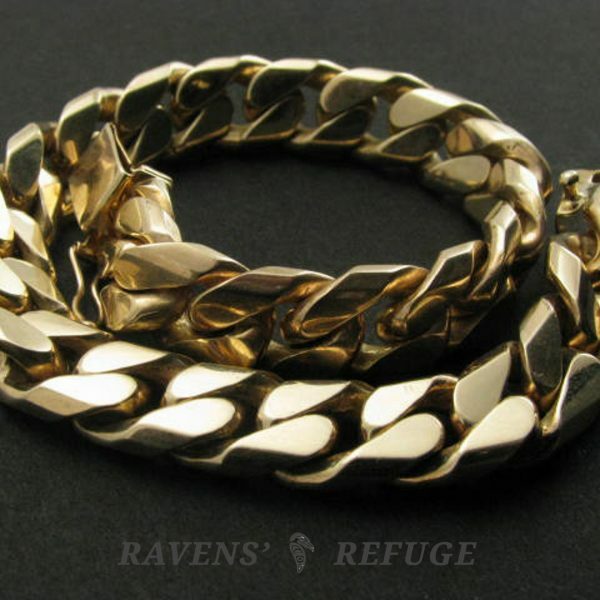 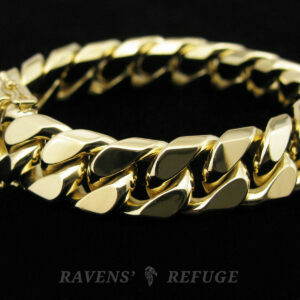 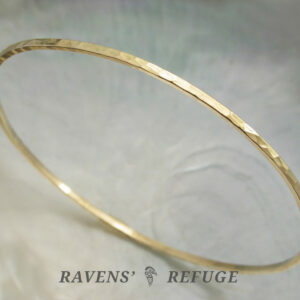 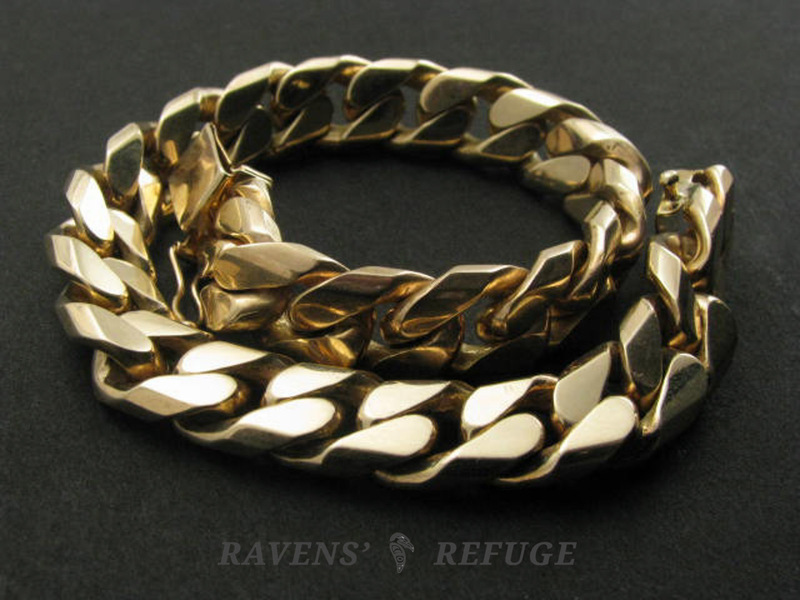 This gold curb link bracelet feels amazing as it rests against your skin, its smooth links cascading over your wrist. 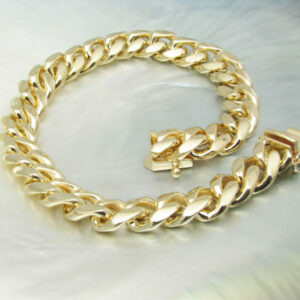 Weighing 60.8 grams, it is a substantial piece – almost 2 ounces of solid 14k yellow gold. 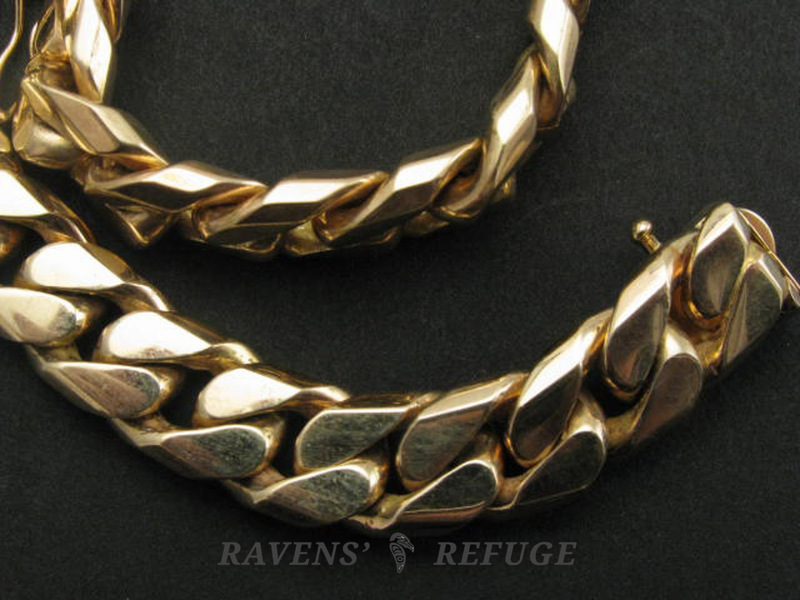 There’s a reason why so many cultures prefer gold for adornment: not only is it beautiful, but wearing it feels delicious. 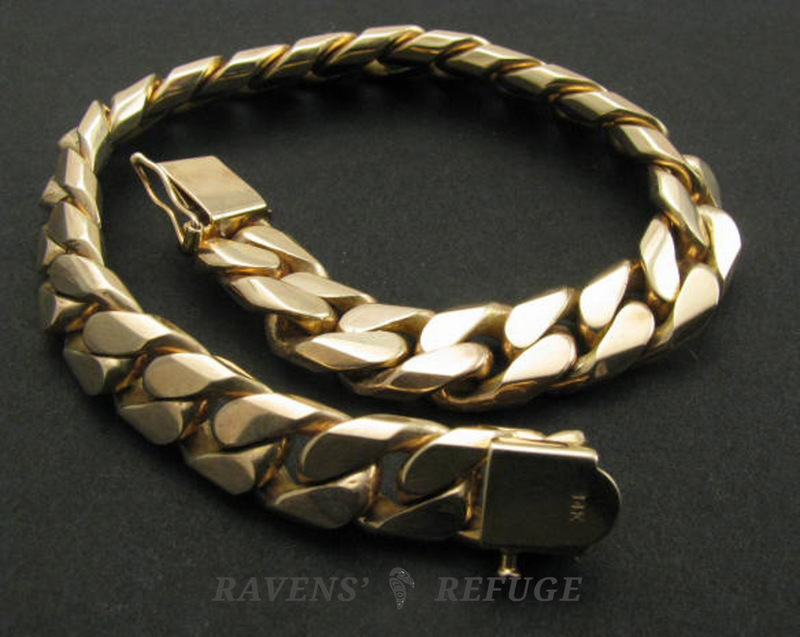 For this bracelet, Dan tweaked a standard design to make it heavier and tighter, and each link is made individually by hand. 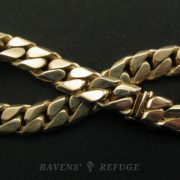 You might find something similar, but you won’t find this particular link in stores. 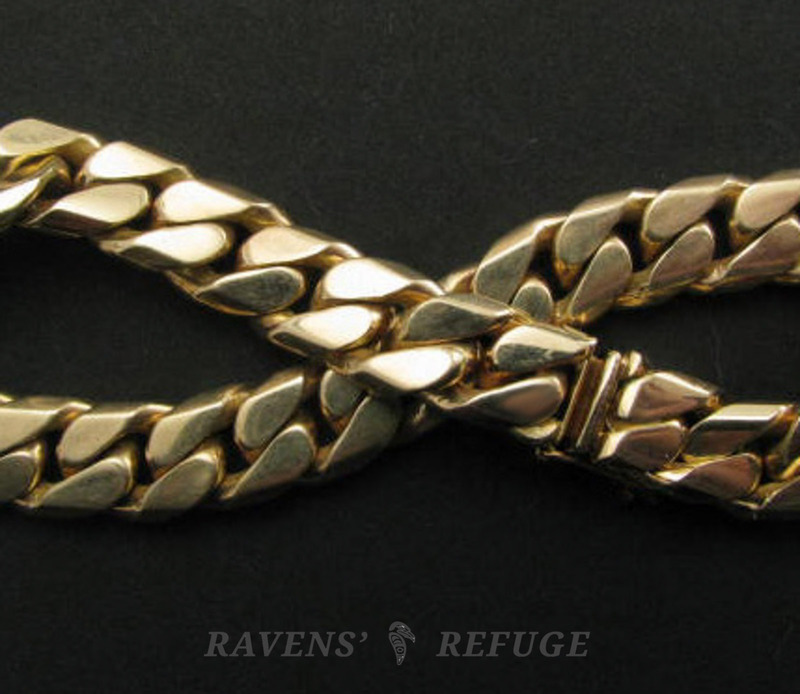 Each link is approximately 13mm in length; 9mm in width, and 3mm in depth. 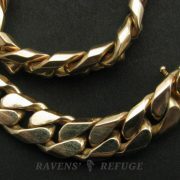 The links are finished with a classic faceted edge that reflects light in all directions and feels comfortable on the skin. 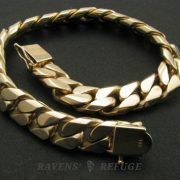 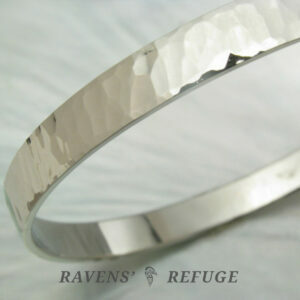 The entire piece is 8 inches in length, with a clasp that includes both a latch mechanism and a safety catch.